Rather than us telling you what OBU is like, hear from those who are living the experience now. What brings people together? 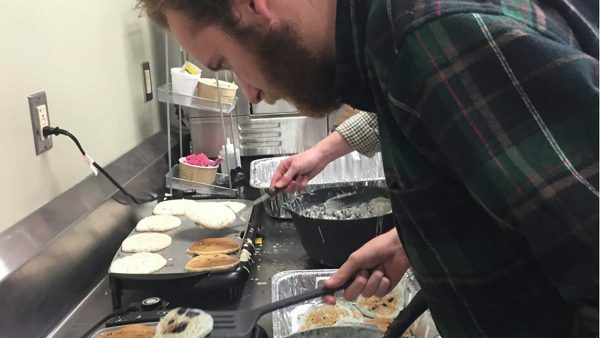 If you thought of breakfast food and fall weather, you are definitely correct! 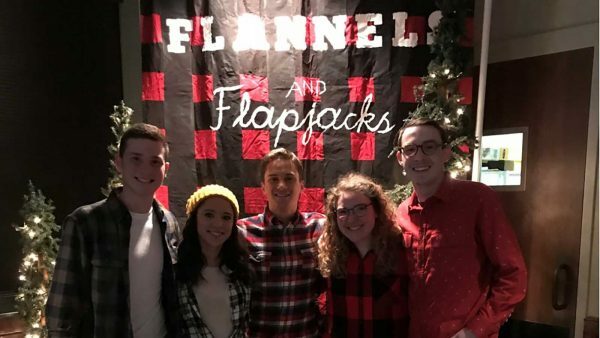 “Flannels and Flapjacks” is an event hosted by the social club, Lambda Chi Lambda, that promotes unity through late night breakfast and backyard games. For two years, I have been blessed with this wonderful opportunity to serve with my brothers and give back to the community. 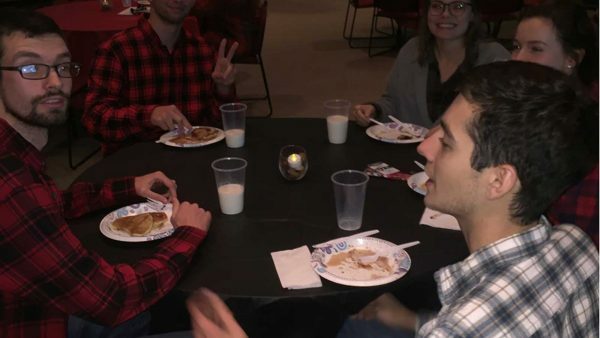 This occasion is held every November in the Mabee Suite and is open to all students and faculty. 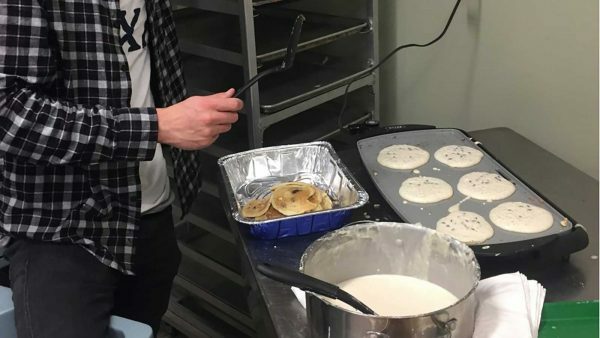 The event costs five dollars, but includes an unlimited pancake bar fit with bananas, blueberries, and peanut butter to top off the night! What a perfect way to spend time with your friends, meet new people, and possibly win a raffle! I will never forget the many frisbee pancakes I caught in my mouth and the memories I made with close friends. Why does Lambda Chi Lambda host this event, though? 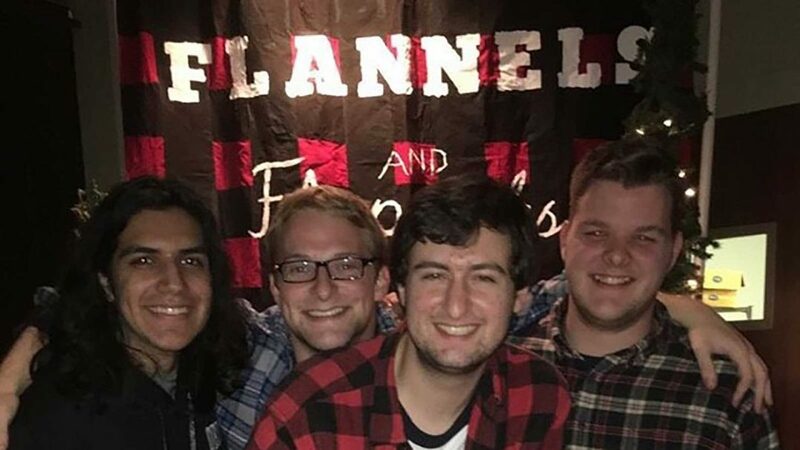 Not only does this social club want to create a friendly atmosphere on campus, but they also want to influence the local community of Shawnee. After the earnings have been counted and the food comas have diminished, Lambda Chi Lambda contributes a percentage to a local charity. 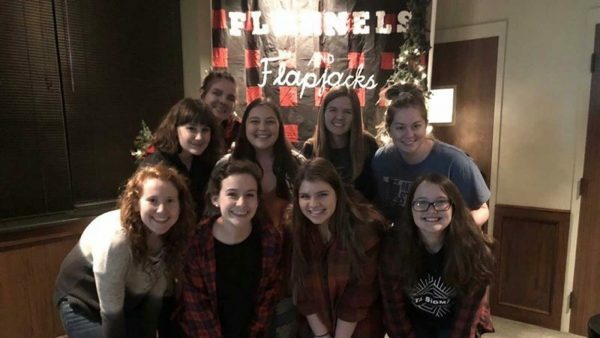 This year, the proceeds were donated to Mission Shawnee, an organization dedicated to providing help to neighbors that are struggling with poverty and employment. Mission Shawnee also equips the community with counseling services, adult literacy classes, and job training. 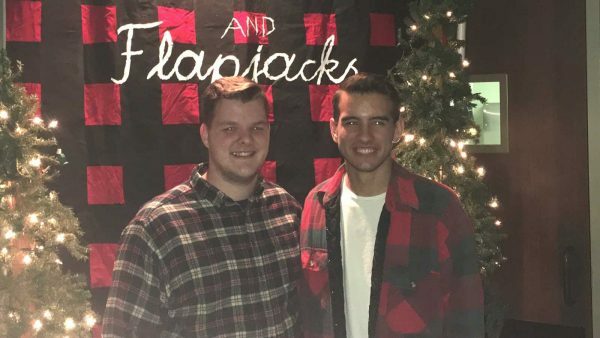 Without Lambda Chi Lambda, events like “Flannels and Flapjacks” could not have assisted Shawnee and Bison Hill could not be thriving socially. I am so thankful to be apart of a Brotherhood that pushes each other mentally, physically, and spiritually. How can you join? Just like me, you may be looking for a place to call home. Last year, I was privileged to be able to join this club through the Rush process. 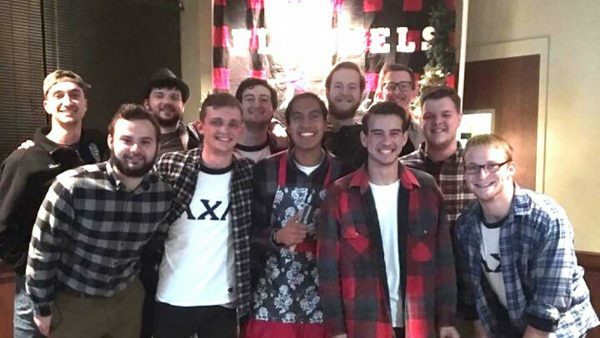 Every semester, Greek Life clubs hold a Rush week. During this week, students interested in joining one of the Greek Life clubs will have an opportunity to get to know each club better. 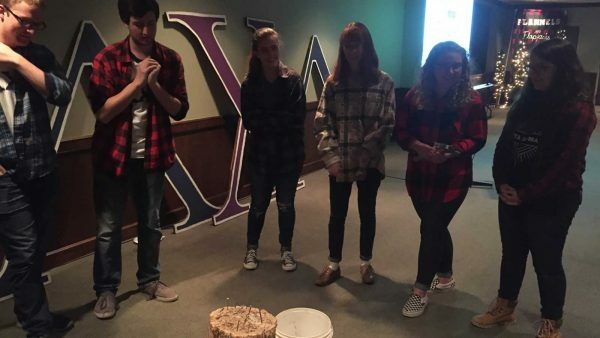 Oklahoma Baptist University offers several guy and girl social clubs that are each unique and comprised of different traditions. At the end of the week, each student will receive a “BID.” This is a personal invitation from the club to join their Brotherhood or Sisterhood. If you choose to accept the “BID”, you will be expected to participate in New Member Training. After this process, you will be voted into the social club and become an official member. If Greek Life is not your preference, please support each club by attending their events to help progress our community! I encourage you to find YOUR place on Bison Hill! Join study groups, organizations, and run for student government. Attend that dance class in the RAWC, go to the movie marathons in the planetarium, and ask that guy out on a TWIRP date! This moment is the most important one you have! Do not wait until sometime in the future to begin enjoying your life. Maximize every moment you have today to love the life Jesus came to give you. 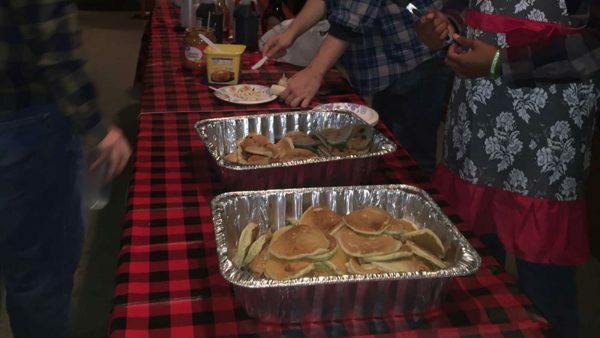 Maybe next year we can enjoy a plate full of pancakes together? Blessings! 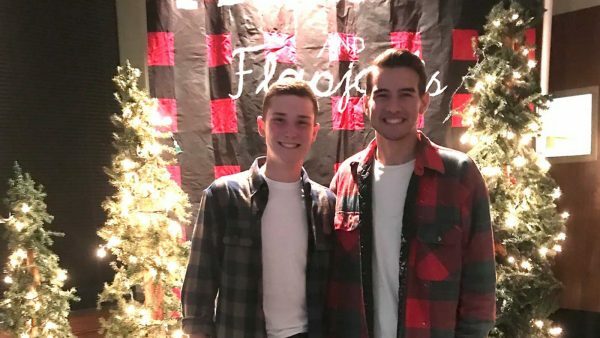 My name is Gavin Yoesting and I am a sophomore, Biochemistry major. I am from Harrah, Oklahoma and you can find me listening to jazz, laughing too loud, and probably wearing a flannel of some sort.